As Words Matter includes various classics of thought, we knew from the beginning Freud will probably be there. 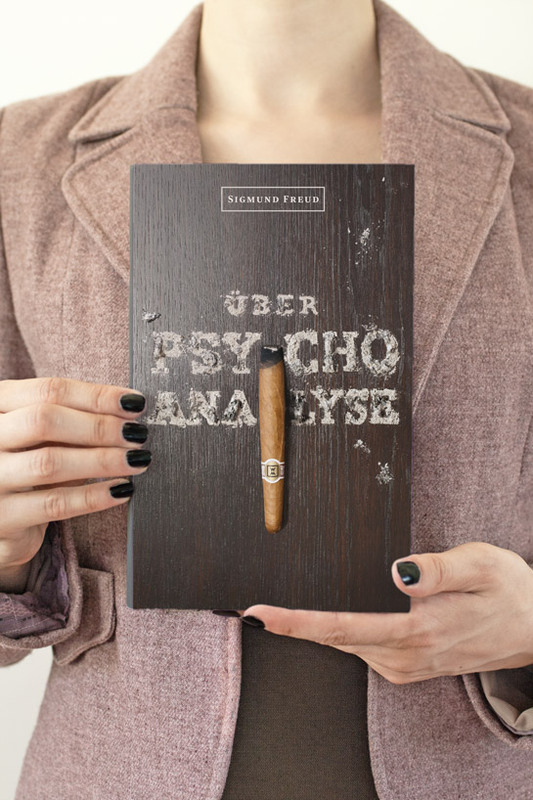 We wondered for a while how to approach this particular writer because while some of the books we dealt with are relatively lesser known, Freud’s writings have become a part of everyday culture. And so in the end we decided to go with that and rely on the simplest, probably even primitive for some, association of Freud and a cigar. 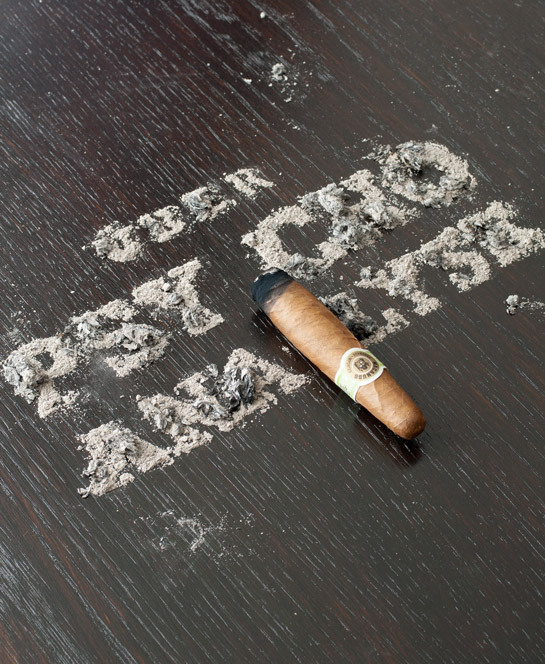 Cigar typography didn’t sound too exciting so instead we decided to create ash typography. In this decision we proudly followed in the footsteps of some brilliant designers who had already experimented with powdery substances, such as Marian Bantjes and Danielle Evans. 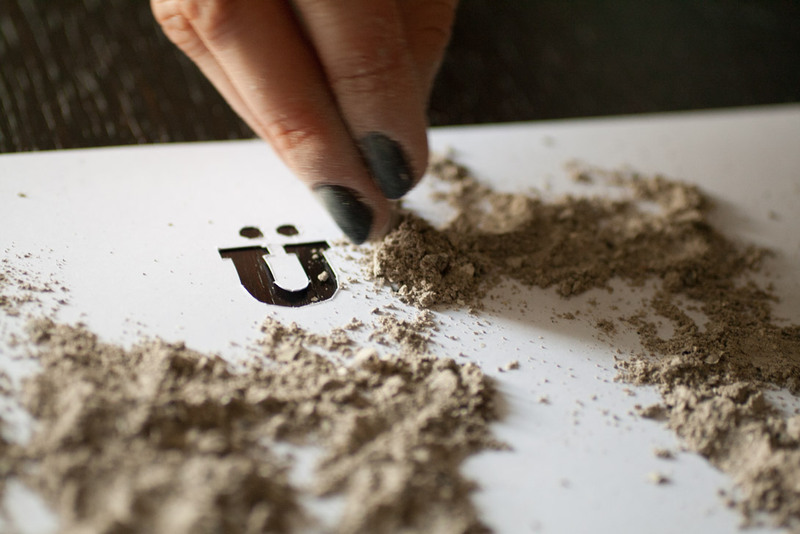 We started by creating a stencil form to use (predicting, rightly, that ash will not be heavy enough to form letters just by pouring it, which you can do with e.g. sugar) and this was just about the only easy part of the enterprise (the photo shows, of course, a negative of the form). But the first big problem came with cigars. We wanted this to be authentic (and we needed the cigar for the photo, too) so we bought actual cigars (the cheapest we could get, mind you) and faced the task of turning them into ashes. Now, we’re very much not smokers so just getting down with a bunch of cigars and smoking them casually was out of the question. Instead we ended up crouching in the porch with matches, a couple of igniters, lighters and candles, hoping very much not to cause a fire (we didn’t) and getting increasingly frustrated. 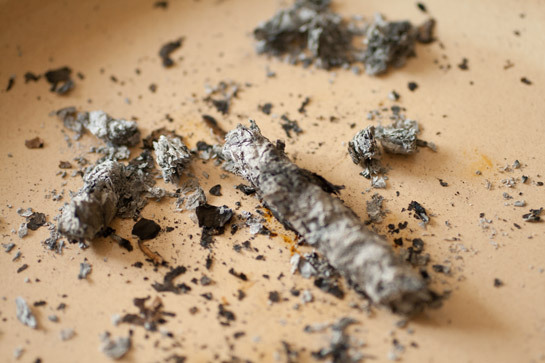 It took us forever to figure out the best way of burning around the cigar (and not burning our fingers) and it still took another forever to get this pitiful (though pretty) amount of cigar ash. 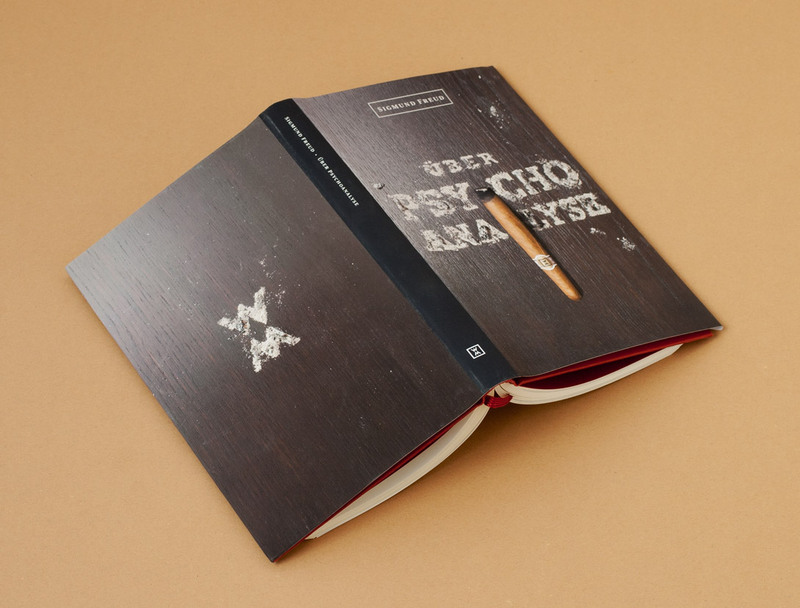 We had about five such cigars and in the end we persevered through burning them all but I don’t think any other project ever has made me so nauseous – literally speaking, of course, because if we’re talking about figurative nausea, there were many worse designs. 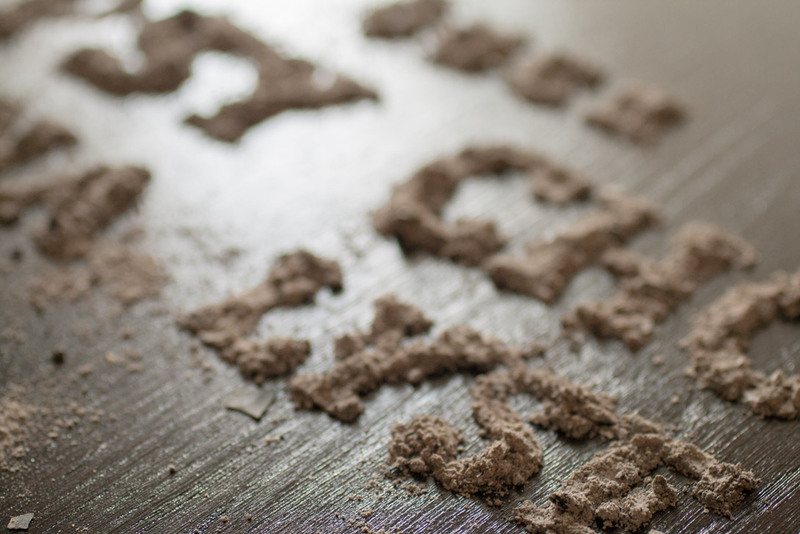 It was obvious from the start that we would never get enough cigar ash for the whole design so we decided to fill the main part of it with actual furnace ash (much less smelly, but much more dirty and unpleasant to touch). 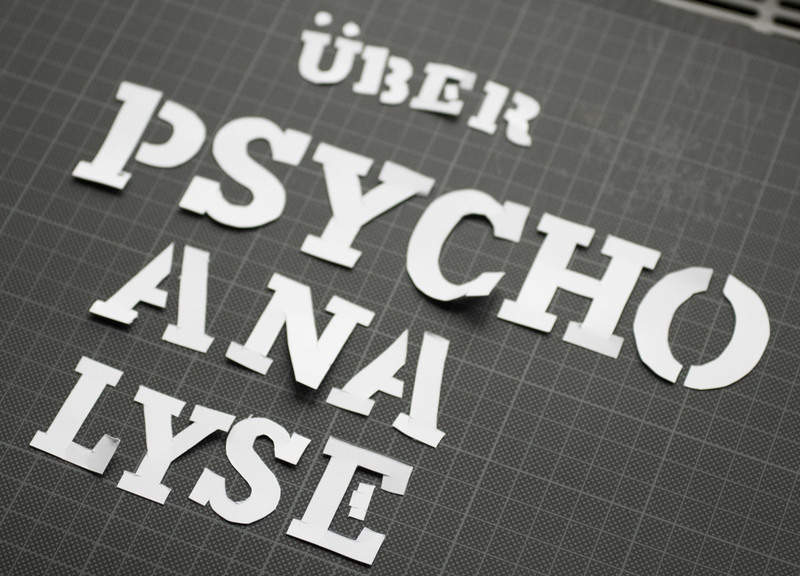 This process only created the bare bones of the design: the letters were barely legible and it took much fine-tuning of the edges to arrive at the result we wanted. Obviously, we could hardly breathe around the composition for fear of huffing and puffing it off the table, so holding our breath was additional fun (and us still dizzy from all the smoke). And then we needed to position ourselves with the camera tripod on the table, over the whole thing. You should have seen us (but not heard because by that point it was indecent with all the swearing). As you can see, the cigar was definitely not long and impressive enough to form the final image: that took some photoshopping later. This is actually another design we’re really happy with. It starts with an idea so simple it borders on a joke but the somber color scheme and heavy wood (plus heavy typography, evoking 19th-century letters) offset that and bring in the whole masculine, often oppressive world of Freud’s ideas. We find it quite appropriate, considering how psychoanalytic ideas have functioned in society: somewhere between a serious, somewhat depressing theory and a pop-cultural gag. 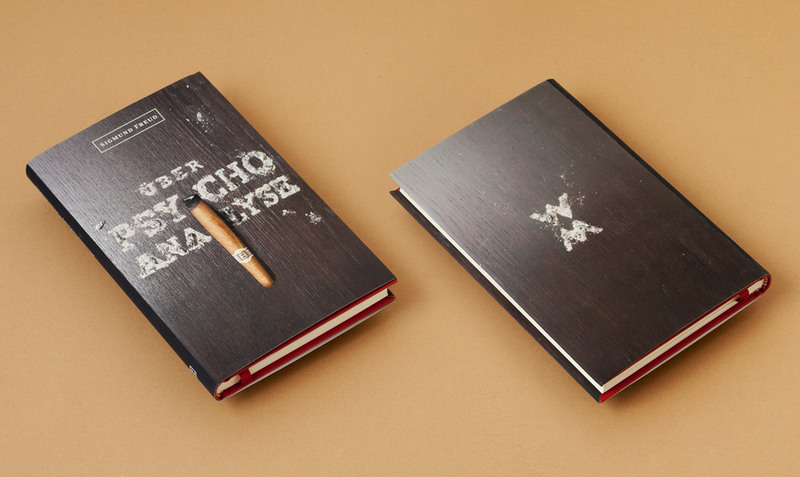 And, of course, a cigar might sometimes be just a cigar but more often, when coupled with Freud’s name, it will also be a most common phallic symbol and that’s how we used it (and also, as a context for the letters to make their material clearer, and a fun place to put the logo, if we’re being very precise). I so like the process of building a microscene and doing a photoshoot. Any chance we get to see the setting / equipment with what you’re taking the photos? We usually forget to take a making-of photo but I think at least one of the future posts in this series will have it. I’m sorry we didn’t take one of this shoot because it was quite something, with a chair on the table and R on the chair, shooting pictures and swearing under his breath. Hehe, thanks for the insight! Your hard work paid off: it’s a really successful, clever design. Thank you! It’s definitely one of our favorites.